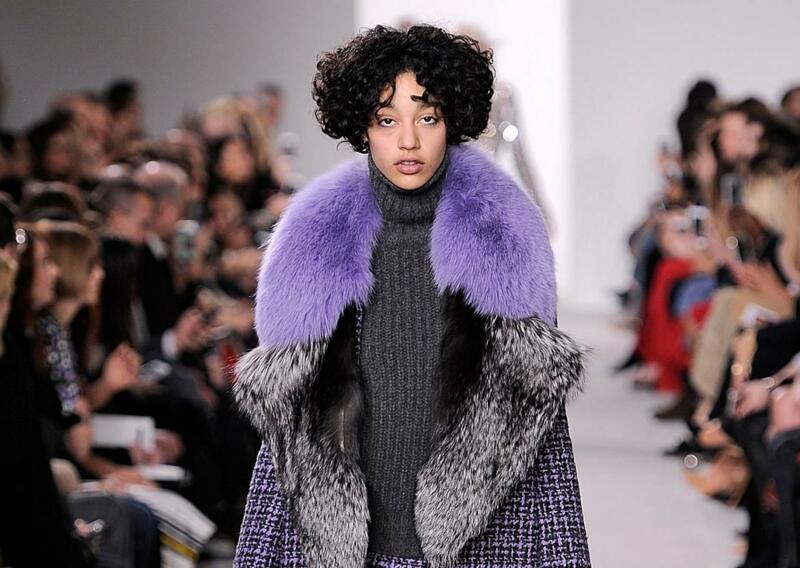 Michael Kors fall 2016, before his fur-free pledge (FirstView). According to WWD, British fur manufacturers and trade organizations are taking action against the wave of faux fur recently taking hold in the luxury market. London’s furriers argues that real fur is far more sustainable, recyclable and environmentally friendly than their faux alternatives. London has been a hotbed of anti-fur sentiment in recent years. Anti-fur protesters regularly stage protests outside London Fashion Week — a rarity at the shows’ New York, Milan and Paris counterparts. And just last year PETA, Surge and the Humane Society authored a petition demanding that the British Fashion Council impose a fur ban on all London Fashion Week runways. Of the matter, the BFC said that while it will keep the conversation ongoing, it cannot dictate what a brand chooses to use in their creations. “As representatives of the British fashion industry we support the creativity of our designers and do not believe that it is our position to define or have control over their creative process. That said, we believe in the human rights of people and animals and would encourage any designer who is using the platform of London Fashion Week to make ethical choices,” a representative said at the time. More recently, the anti-fur lobbyists have started pressuring the government to ban fur imports to the U.K. The fur industry is now fighting back. “What about freedom of choice? We are not all vegan, and most of us believe in the use of animals in one way or another, whether that’s for meat or the use of silk,” Mike Moser, chief executive officer of the British Fur Trade, said in an interview with the paper. He added that in Europe, animals are well taken care of during their life and that they are no longer produced for their fur alone. “The whole animal is now increasingly used. In European fur farms, the meat is sold to other livestock industries, the fat is used to burn biofuels and the bones and the skeletons are used to make organic fertilizers,” he said. Moser also touched on the environmental impact of faux fur, saying the effects are “devastating” with some fake fluff taking 1,000 years to biodegrade in landfills. When asked about the influx of luxury brands — Maison Margiela, Gucci, Michael Kors, Versace, etc. —committing to fur-free merchandise, Moser was quick to point out the inconsistency of their continuance in using exotic skins, leather, and feathers. “Top brands such as Versace are using leather, a primary product. They produce specific high-quality leather which comes from calves that are three months old,” he said.